A great night was had by all at Aisling’s annual comedy get together. There were some old and new faces as usual and it sold out, also as usual. 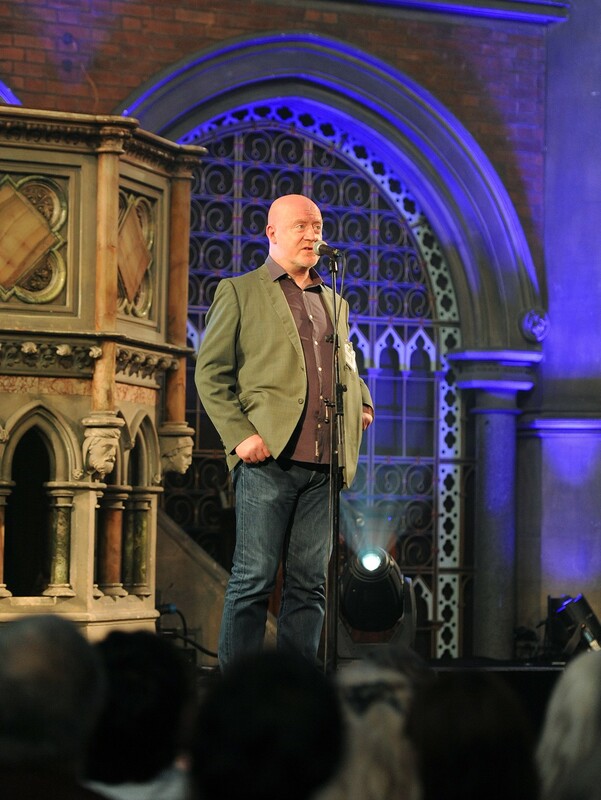 We have used some very diverse and wonderful venues down the years starting off in the Irish Centre in Camden Town and have since performed in two Bloomsbury’s, the Theatre and the Ballroom as well as the massive and massively expensive Palace Theatre on Charing Cross Rd but this year’s venue, The Union Chapel topped them all for beauty, friendliness and quirkiness (and value for money). 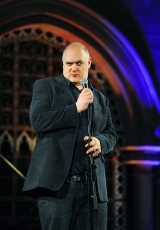 The sheer thrill of telling rude stories and using bad language on the altar of a working place of worship brought out the best in our performers. 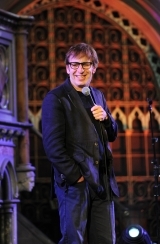 Ardal O’Hanlon was the MC for the umpteenth time and kept the audience laughing between acts. 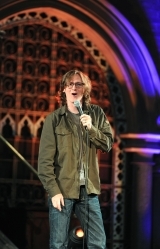 Alex McDonnell had the hard job of opening the show on behalf of Aisling, trying to remember who to thank and explaining a bit about the charity without any material and no jokes, next up was Ian Stone, back by popular demand as our token Jewish comedian (his words) and soon had everyone in stitches (that’s not a tired Jewish stereotype about traditional Jewish jobs in the tailoring business). 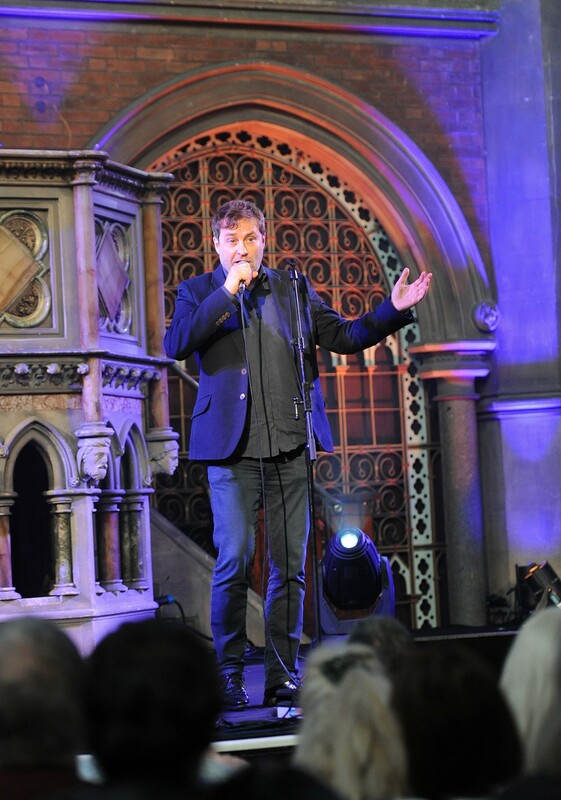 New to Aisling but not her name was the very funny and likeable stand up, Aisling Bea and closing the first half of the show everyone’s favourite scientist/funny man Dara O’Brien. Opening the second half of the evening was Dara’s best mate and one of Aisling’s favourite comedians Ed Byrne followed by John Moloney who performed the inimitable ‘cat joke’ for a record third year in a row, Ardal was so impressed he asked John to compere next year. 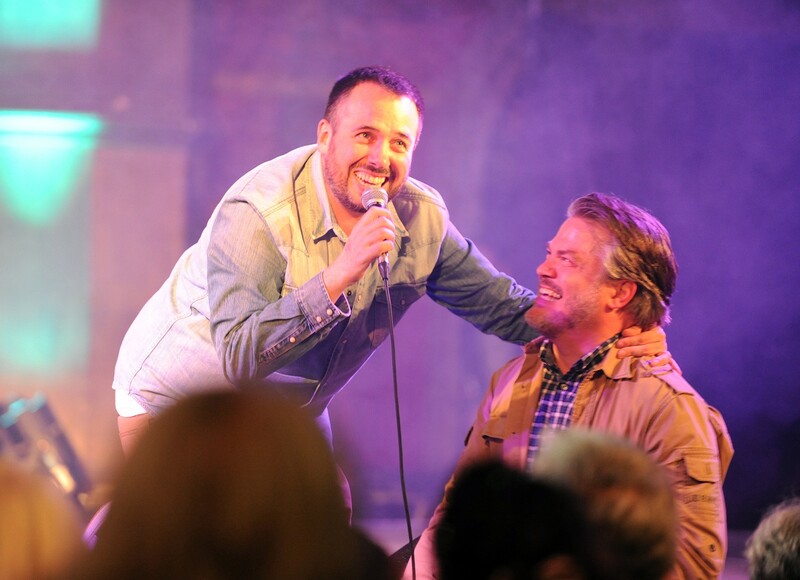 Ardal had told me that Abandoman would have to go on last as only the raffle could follow an act this. I had never seen them before but they are impossible to describe except to say that they are a sort of improvised mind reading magic rap act that is all about audience participation – in the actual audience. Now you’ll have to go to see them! After the show the party continued upstairs in the Chapel bar (it’s enough to make you find religion) where we were entertained by Brian Kelly’s friends otherwise known as the Shipmates for some great Irish tunes, even including John McDonnell’s Donegal Cowboy, as if there hadn’t been enough blasphemy for the evening. It was a great night and a fitting celebration of our 20th birthday. 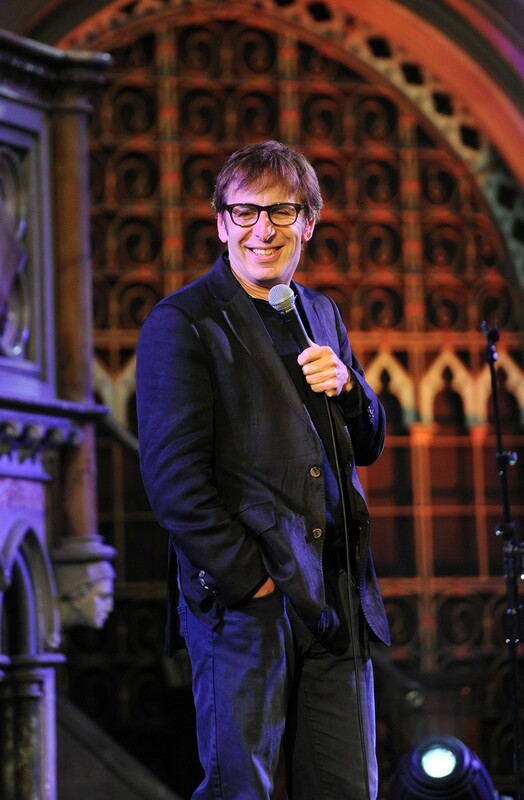 Thanks to Mary for organising the raffle, to the staff at the Union Chapel, to all the comedians who have given so much to us down the years and to our patron Ardal O’Hanlon the great man himself for his tireless work on behalf of Aisling for 20 long years. 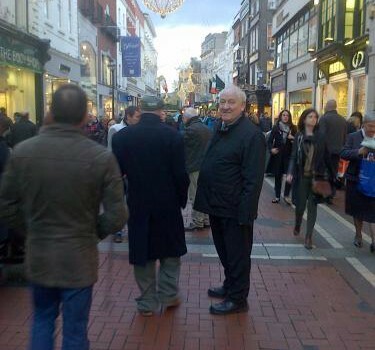 Thanks also to Malcolm McNally of the Irish post who took these great pictures below. 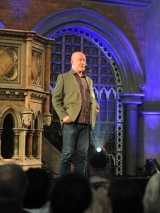 Alex McDonnell, Coordinator of the Aisling Project. 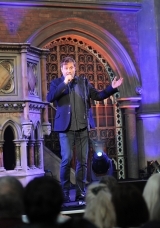 Host for the evening Ardal O’Hanlon who is patron of the Aisling Project. 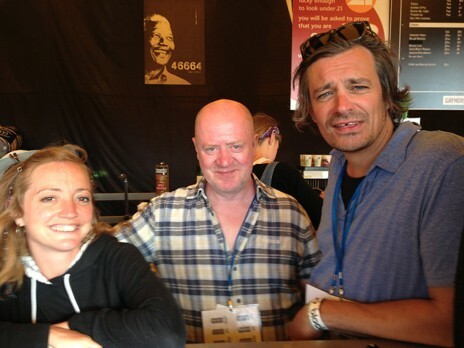 Alex McDonnell and Ardal O’Hanlon are pictured with Andrea Dewsbury and Liz Lewis. 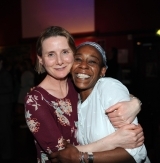 Sharon Richardson and Patricia Purcell. 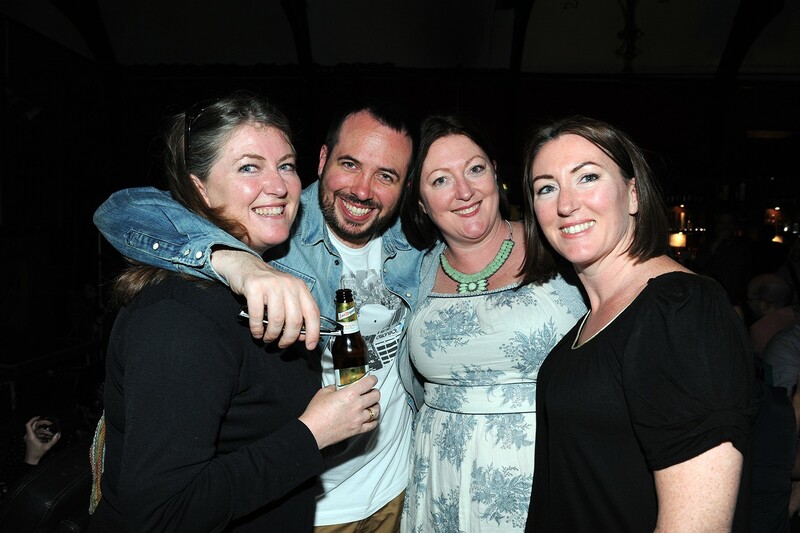 Rob Broderick of Abandoman, pictured after the show with his cousins Fiona, Gillian and Sarah O'Regan. Abandoman, aka Rob Broderick on stage. 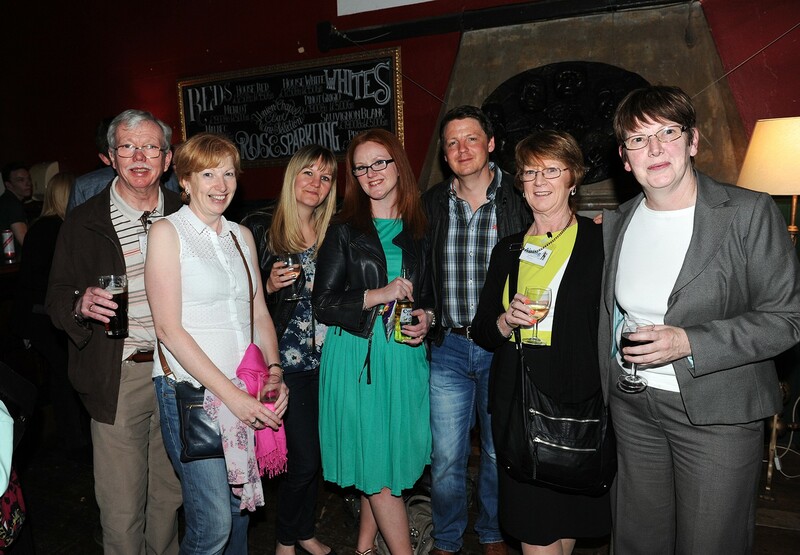 Mary Leyne from the Aisling Project is pictured 2nd right with family and friends. 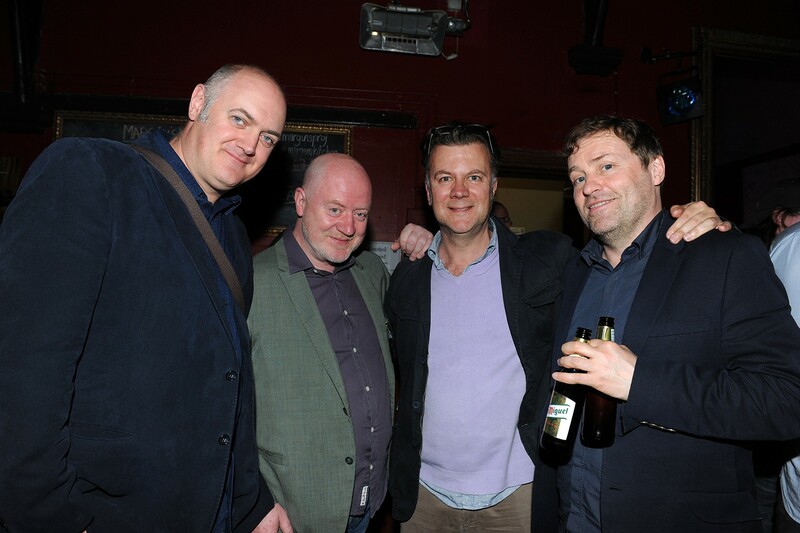 Dara O’Briain, Alex McDonnell, Ian Fitzgibbon and Ardal O’Hanlon relaxing after the show.